Vex Robotics. Pictured at the regional finals of the VEX IQ Primary Schools Competition are Brian Dolphin, Roxboro NS, Anna Wilkinson, Caherelly NS, Callum Hughes, Roxboro NS, Aisling O’Connor and Laura Browne, Mahoonagh NS with Dave Griffin of Dell. Picture: Arthur Ellis. Tuesday 5 February saw Mary Immaculate College (MIC) and DELL EMC Limerick once again join forces as part of their ambitious initiative to bring educational robotics to schools in the Mid-West Region. 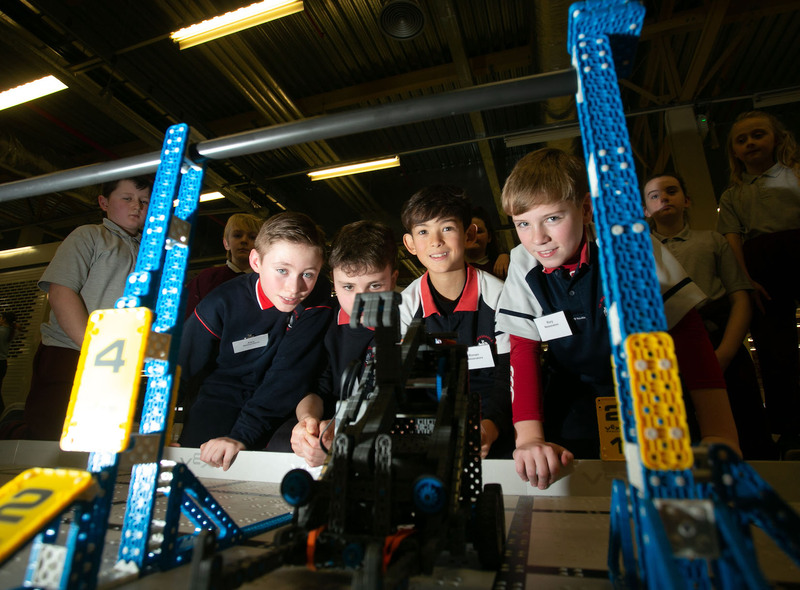 For the second year running 25 school teams from Limerick, Tipperary, Clare and Cork competed in the regional finals of the VEX Robotics IQ Primary Schools competition, with over 700 students and teachers showcasing their projects and presentations. The VEX Robotics Challenge involves a class of pupils, from 9–12 years old, working in teams to design, build and program a robot. Students also worked on a STEM project focusing on “Mathematics in everyday life”, where the children designed and developed a four-minute video presentation on the topic. Some of the topics included: designing and building an inclusive playground for children with disabilities; developing mathematical models to cut down on waiting times in A&E departments and the control and coordination of traffic lights. The Limerick Robotics initiative kicked off last July with a summer course for primary school teachers at MIC. Supported by DELL EMC Limerick, the Professional Development Services for Teachers (PDST) and the Irish American Partnership; the course involved designing robots, problem-solving, troubleshooting and learning how to code in order to equip the teacher with the knowledge, skills and confidence to integrate STEAM effectively into the curriculum using robotics. Pictured at the regional finals of the VEX IQ Primary Schools Competition are Alex Conway, Jack Cullinan, Ronan Fogarty and Rory Gleeson of St Nessans NS. 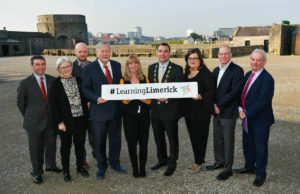 Between September and January, each of the 25 schools was mentored and supported in a variety of ways including five professional development workshops in DELL EMC Limerick and the Limerick Education Centre, as well as over 30 Dell Mentors volunteering their time to visit participating schools providing guidance to both children and teachers. 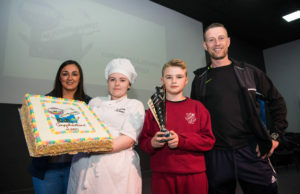 According to Dr Maeve Liston, Director of Enterprise and Community Engagement at MIC, “This project focuses on empowering young people to develop STEAM skills for life, allowing the younger generations to embrace innovation, enhance creative and critical thinking skills, solve problems, develop solutions and test opportunities – skills needed across all life-situations and career paths. 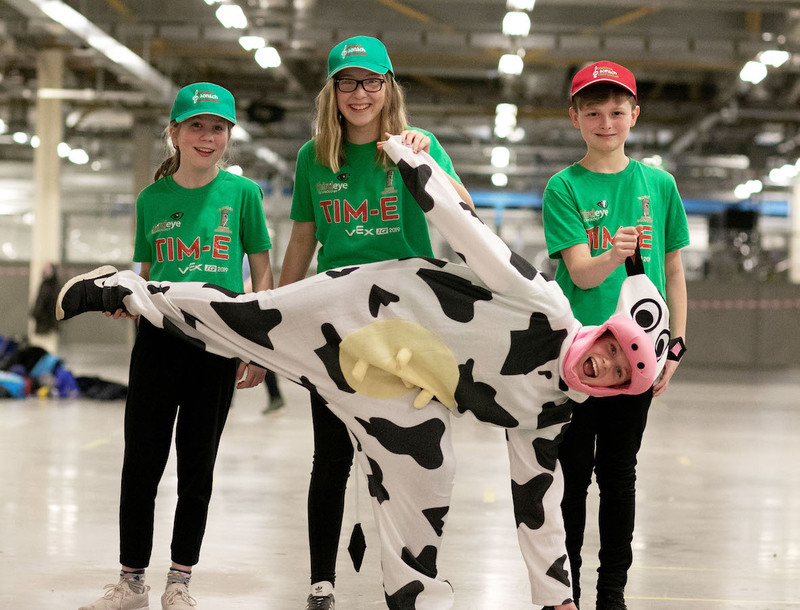 The children impressed the judges immensely on the day, not only their robotics skills but also their innovation, creativity, teamwork and presentation skills”. Pictured at the regional finals of the VEX IQ Primary Schools Competition are Aoibhinn O’Brien, Heather O’Brien, Chulainn McGrath and Grace Mulrooney of Gaelscoil Aonach Urmhumhan. Picture: Arthur Ellis. 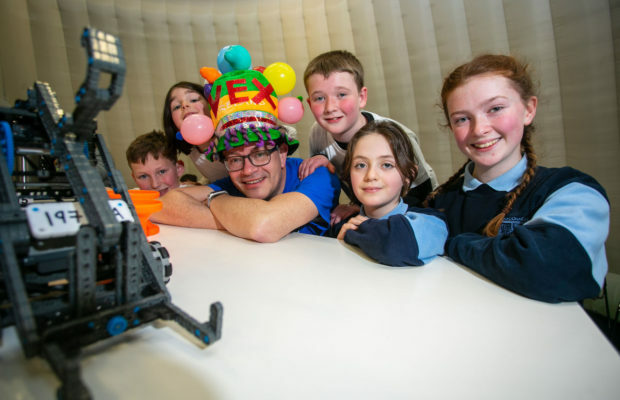 The finals of the VEX IQ competition will take place later in February in Cork Institute of Technology with the overall winners getting a spot to compete at the VEX World Competition in Kentucky in April. 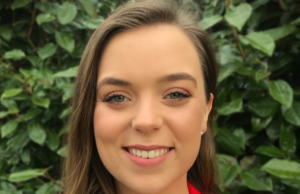 The programme is supported by DELL EMC, Mary Immaculate College, the Irish American Partnership, Professional Development Services for Teachers, Cork Institute of Technology and Science Foundation Ireland.